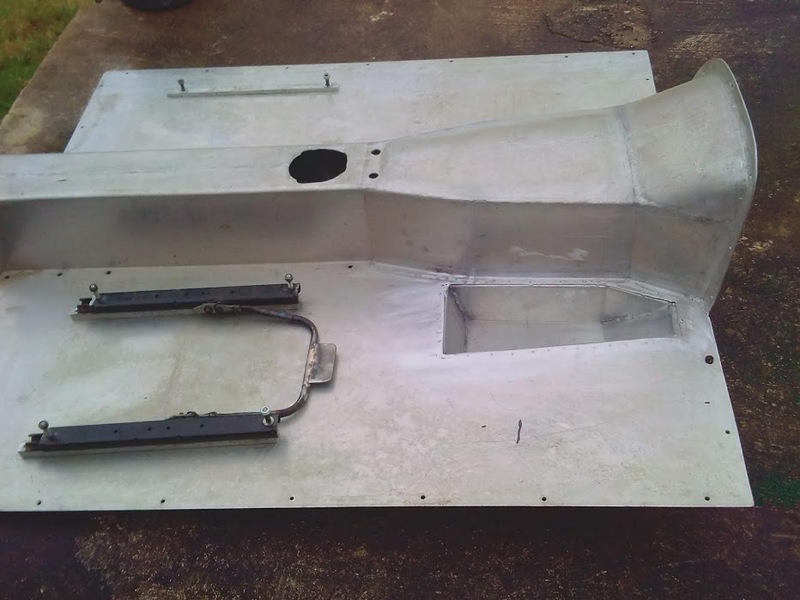 Late XK120 OTS front wing variants? 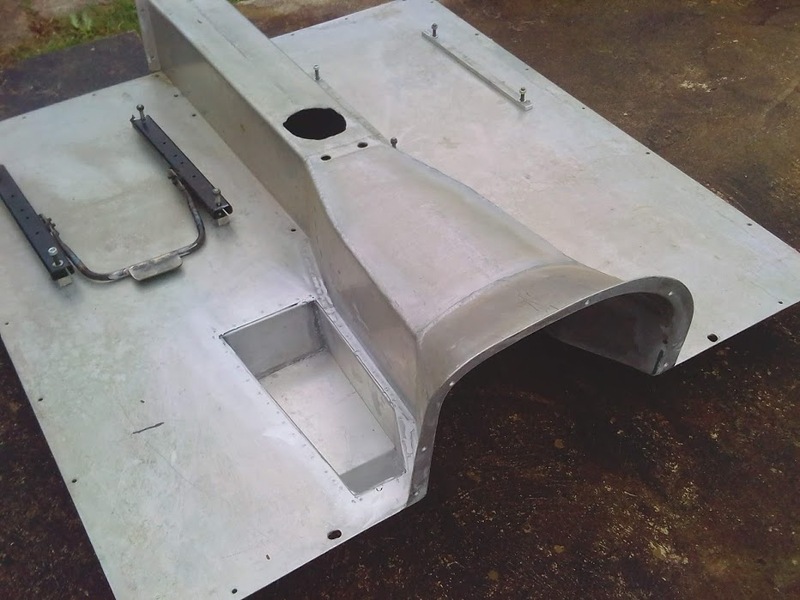 The wing on the right side is smooth on the underside, lacking the recessed flange, and the headlamp pod is simply positioned on top for spot welding before lead loading. There is no apparent indication that one or the other was replaced at some juncture, but perhaps it was. Were there two front wing configurations at the factory? Did one supercede the other at some point? For what it is worth, 677577 (July, 1953 build) front wings are both totally smooth underneath as per your RH side. Thanks, Chris. 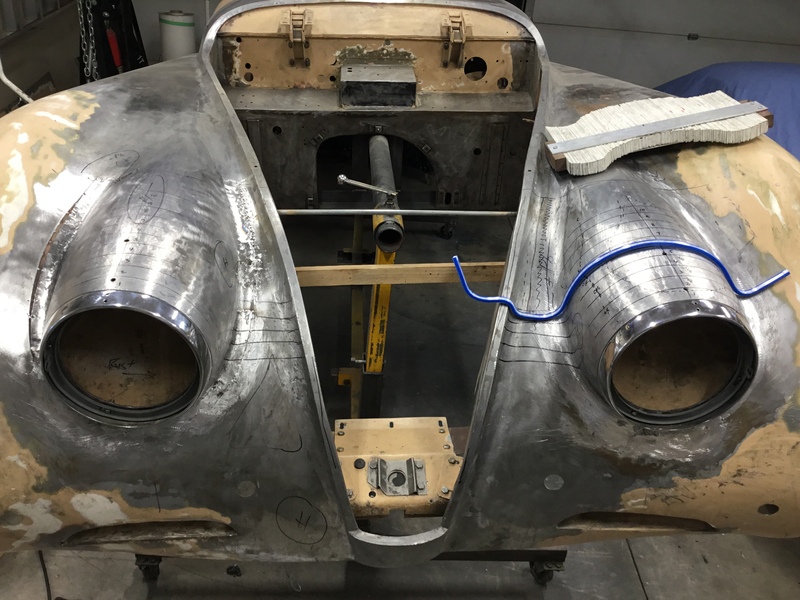 This car is an early December, 1953 build. My theory is the left wing is a replacement taken after a fender bender either from an earlier production donor car or old spares stock, and the right wing is factory original. Seems the earlier wing is better built. a recess to accept a headlamp mounting bowl as used on MK7/8/9 and 140/150. So it’s the later wing that features the recess? Now I’m confused, but that’s not altogether unusual. Both pods are the same diameter, however, so it appears both wings are for a 120. Could it be there was a transition late in XK120 production to the recessed design and this car got one of each? sidelight housings, in a stack. Memory tells me that no recesses were formed. The point of my recollection is that perhaps more RH than LH pressings were formed. Here is the fixture they used to get those pods in position for spot welding. 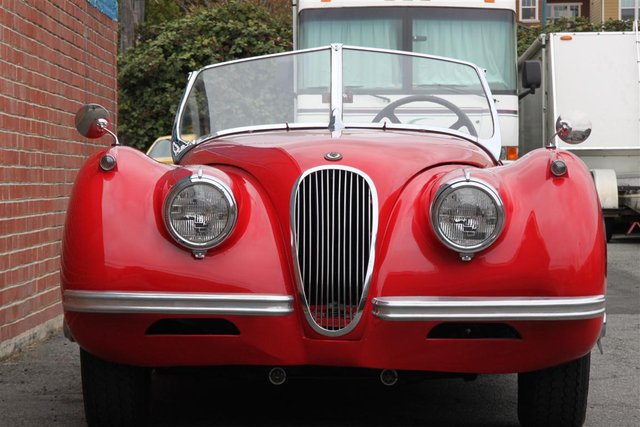 I guess the wings with the “recessed flange” are either very, very late XK 120’s or even (modified?) XK 140 wings. 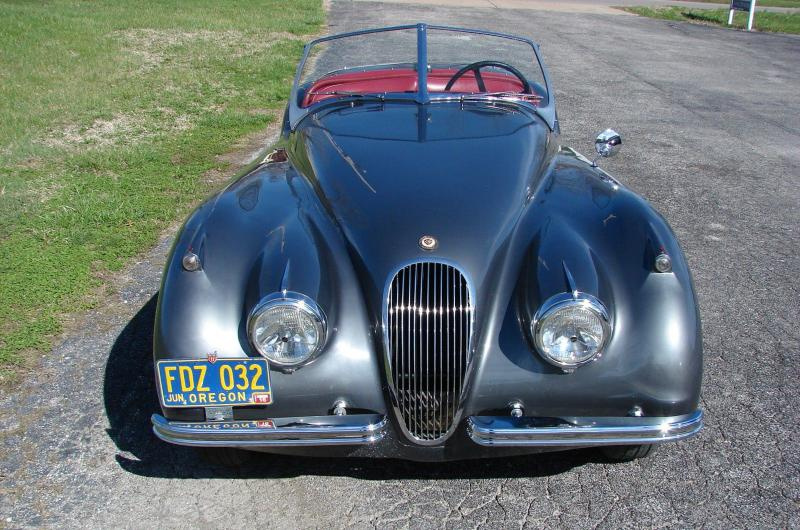 My April 1954 XK 120 still has the “smooth” version whereas my 1955 XK 140 has the “recessed flange” version. quite simple all XK120’s had the smooth underside to wing as built by factory. 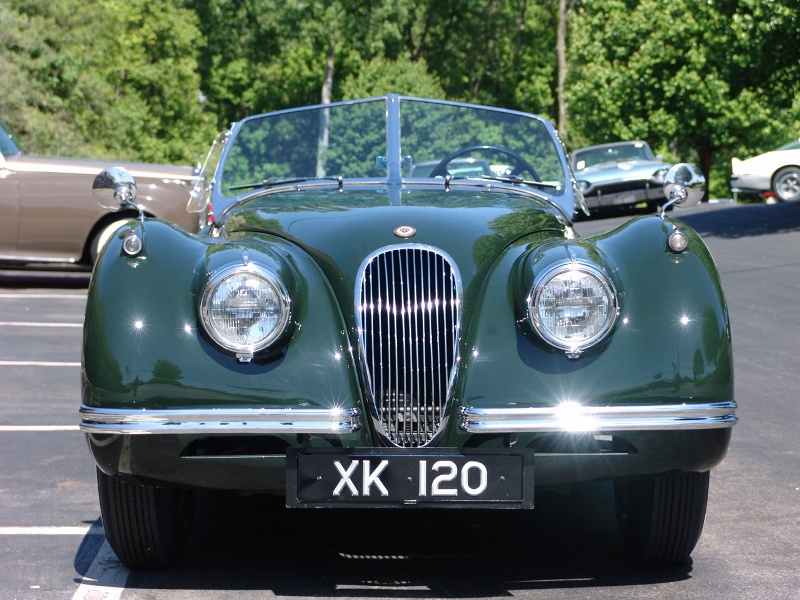 The XK140 and XK150 had the trench for headlight pod to sit into. 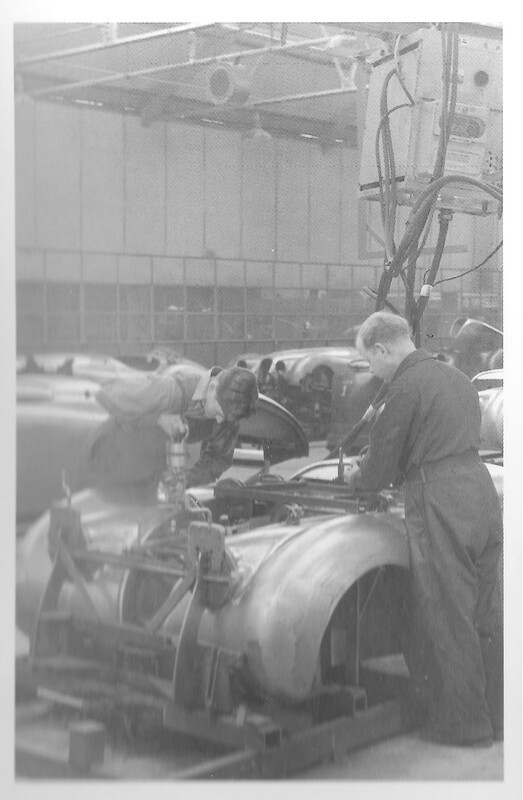 When the XK140 came along replacement mudguards where made as a standard item to also fit XK120 thereby the 120 finish up with the trench on a replacement guard. Presumably during production of the XK120 guards where made without trench. 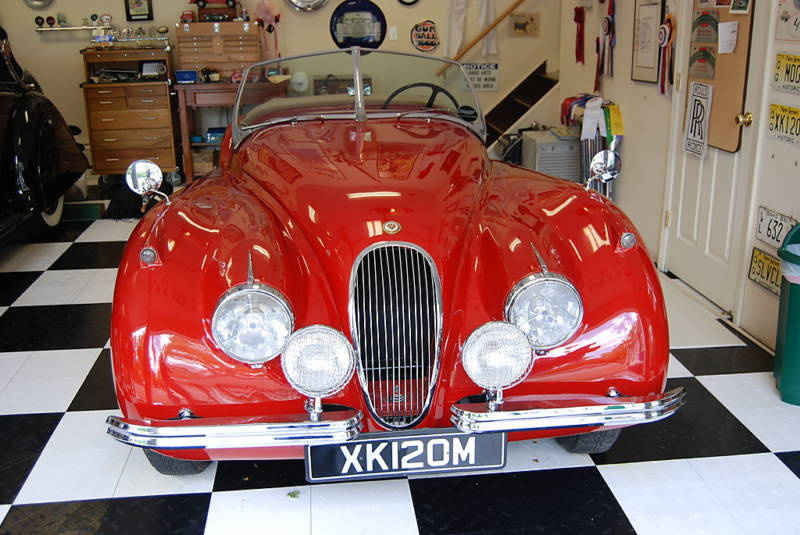 I have had a factory NOS mudguard for an XK120 that had the trench it didn’t have the wing vent so presumably covered the early cars as well just can’t remember if it had front brake vent. All wonderful information, gents! Thanks. I know this car was involved in a fender bender on the left side but the damage I repaired was in the replacement wing, so it appears there were two accidents in the car’s history - the first took out the original wing and the second damaged the replacement. Interestingly, while researching the history of the car, my wife - who is an internet sleuth extraordinaire - unearthed a number newspaper articles concerning the first owner, who was a wealthy American heiress. One of the articles gets into her inability to manage her wealth due to a problem with the drink, which perhaps affected her driving abilities. She bought the car new in early 1954 and owned it till her death in 1966, after which it languished in her garage for a few years while people argued over the disposition of her estate. Far as I can determine the last time the car was driven was into that garage so the accident(s) were apparently hers. I know this car was involved in a fender bender on the left side but the damage I repaired was in the replacement wing, so it appears there were two accidents in the car’s history - the first took out the original wing and the second damaged the replacement. She was the granddaughter of a US senator whose surname, Stevenson, was her given middle name: Jane Stevenson Skidmore. An only child. Daddy Skidmore was a wealthy industrialist who left his daughter a large estate and sizeable fortune - when she died in ‘66 Jane was living off an inheritance trust that paid out around $330,000 a year, or about $2.5 million in today’s dollars. and rather than load up the slimmer headlamp pod in the replacement, trenched, left wing I’ve removed the lead loading on the right pod, broken the spot welds and using contour gauges and a flex rule have worked the pod a quarter inch inward to match. In this pic just taken, the inner flange already rewelded, the outer awaiting final adjustment before welding and lead loading all around. After this final, final fitting of the bonnet and then onto priming and paint prep. Edit: I may have that trust number wrong - maybe it was the modern equivalent of $330K/year? Substantial, in any event. But… but… that’s not factory!!! Good on ya, for your quality of workmanship, and a good eye towards detail. with 140 profile pods not 120, whatever will the purists say ! The pods on my 120 are left “as is” . If /when I arrive at a Jaguar meet I will run a " spot the difference"
comp ( not just headlamp pods ). Here`s one ! Unitary floor and transmision cover in 1/8" alloy. . I had no idea they were different…? that was a random sample. There are many with quite narrow pods, almost like stove pipes, and others with quite wide ones. There were variations in wing shapes and pod shapes and the body men had to establish a close fit between the pod flanges and the surface of the wings in order to effect solid spot welds. Some of the pods would need to be pressed down harder than others - those would end up looking wider. In any event, it’s the trim ring fit that says it all. Mine fit perfectly. They’re both XK120 headlamp pods. Interesting construction, Peter. Is there an advantage over the plywood floor boards and sheet steel gearbox/driveshaft covers? And what’s the secret compartment on the right side for? The right seat mount is also interesting - an ejector mechanism for troublesome passengers? Could have used that compartment 50 or so years ago to hide beer in. Not that I ever did such a thing. Be aware my 120 is RHD Nick. Light weight and a neat fit around the T5 regs floor. assembly therefore retaining the clutch pedal length requires the lowered floor. A plus to this mod is the cluch leg has to elevate less. machine guns, hence a side exhaust. less lead resulting in a tighter radius. 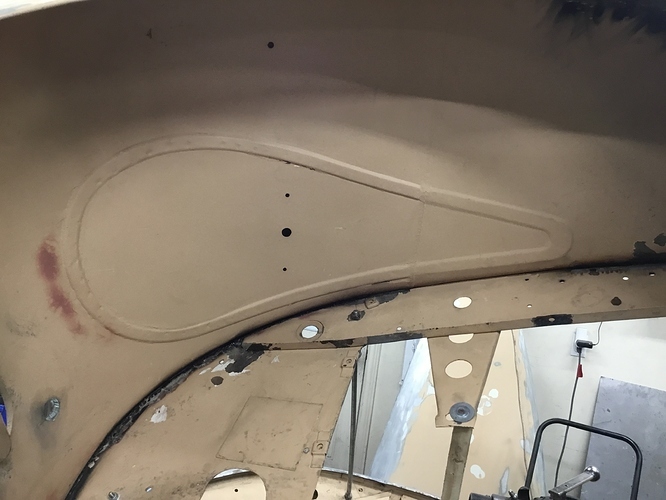 With restored cars it depends on the degree of reparation around the pods of course.